This lively, inspiring, and informative book zeroes in on the state of American fitness—persistently sedentary, plagued by obesity—and issues a clarion call to action that reaches across economic, racial, and educational lines. Toni Yancey finds that despite our best intentions and repeated resolutions to exercise, as well as a 40-year investment in fitness education and counseling, physical activity in all levels of society continues to plummet. In a warm, reader-friendly narrative that draws on solid scientific research, personal experience, and her own poetry, Yancey calls for a radically different approach: one that respects diversity and is grounded in the cultures of those most at risk. 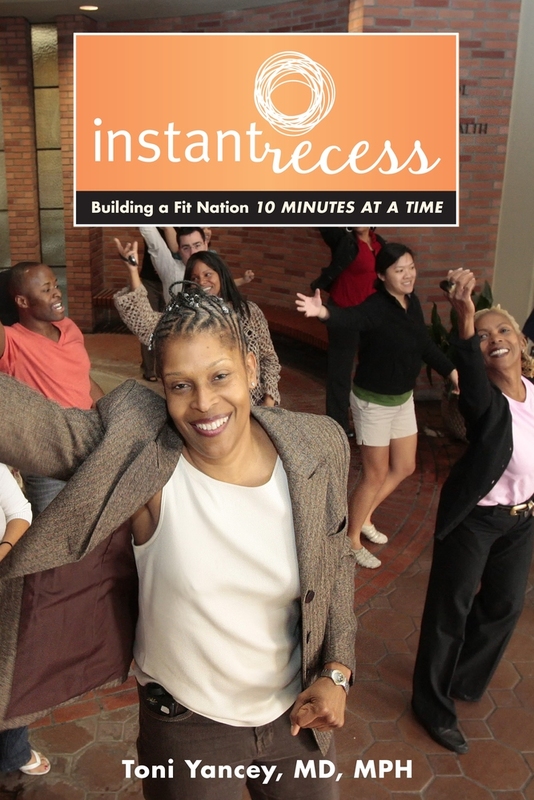 Instant Recess proposes regular ten-minute exercise breaks that utilize music and dance and are easily incorporated into school, work, and community life. Rather than encouraging unhealthful habits like cigarette breaks or high fat snacks, these “instant recesses” make the active choice the natural one. Here is a new paradigm for fitness and public health that promises vitality, well being, and a greater sense of community—demonstrating, as Yancey argues, that what’s good for the waistline is good for the bottom line. Toni Yancey, MD, MPH, is Professor in the Department of Health Services and Co-Director of the UCLA Kaiser Permanente Center for Health Equity at the School of Public Health, University of California, Los Angeles.